Los Angeles Appliance Repair is factory certified to carry out the maintenance, servicing and repairing of all major brands of wine coolers in Los Angeles. Having a wine cooler that isn’t cooling, left with a non-operational compressor or one that’s making unusual noises can start to become a real inconvenience. Well, give Los Angeles Appliance Repair a call! We’ve been making a difference in appliance repair through our customer-oriented approach and our high quality workmanship for over 20 years, specializing in wine cooler repairs. 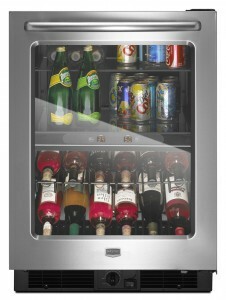 Call Los Angeles Appliance Repair Toll Free at 800-937-3035 to have your wine cooler fixed today. Our appliance repair office hours are Monday-Saturday from 7am to 9pm and Sunday from 9am to 5pm.